A topic web is a kind of visual organizer. A topic web is one way to represent the understandings and questions that the class has about a topic (Figure 1). Creating a topic web with the children is an important part of getting a project started. The activities involved in making the topic web can help preschoolers meet early learning benchmarks. For teachers who use the Project Approach but are required to submit lesson plans, making a topic web with children provides an opportunity for lesson planning. Figure 1: An example of a completed class topic web. Experienced Project Approach teachers recommend making the children’s topic web at the end of Phase 1 or beginning of Phase 2, after the children have shared several experiences, such as making memory drawings, hearing or telling stories related to the topic, or examining some relevant items that the teacher has brought in. Typically, the children’s topic web is created during group time. The teacher asks the children about their ideas and “wonderings” about the topic. As the children “brainstorm” or offer their ideas and suggestions, the teacher makes notes based on their comments and questions (often in a shortened form) and adds them to the web for all to see (Figure 2). Figure 2. Working on the children’s topic web. In preschool classrooms with more than one adult, often one teacher will do the writing while the other helps the children take turns dictating their ideas and questions. Creating a topic web with children can help the teacher to see what the children understand, what they misunderstand, what interests them about a topic, and what questions they have already formulated about it. The teacher can also get a sense of whether or not the topic is viable and worth pursuing with the class by looking at the number of ideas and questions that the children generate and how much prior experience they seem to have with the topic. The topic web can also be an aid to getting organized and developing the directions in which the project might go. Teachers who have not used topic webs in project work often wonder if children who do not read yet will be able to “get anything out of” making webs. But many teachers who have experience with projects report that preschoolers are usually able to understand the webbing process and that many are able to connect the words that the teacher writes to the ideas that they and their classmates have expressed. Older preschoolers may recognize some of the words. Some may ask for help to write their own words during the webbing process, and others may want to write the words without help. A child who is a fluent writer may want to have a larger role in writing ideas on the web. When you make a lesson plan for creating a topic web with the children, it’s a good idea to consider three basic questions: What materials do you need? What preparations are important? What procedures do other teachers recommend? Notice what children are already saying and doing that is relevant to the potential topic. Is the topic part of their play or their conversations? Do they show interest in objects related to the topic? Invite children to talk about or make drawings of their own experiences related to the topic. Arrange an experience related to the topic to encourage children to think about it. For example, you might bring in some items related to the topic and let the children interact with them for several days. Or you might read a relevant book or invite a visitor to come in and talk about the topic with the class. Take notes during the above activities. The notes can help you to remind the children about their experiences if they seem to “draw a blank” while working on the web. Will another adult be available to help with the process? If so, some of the tasks involved can be shared. Who will do the writing, and who will be the facilitator who helps the children formulate and express their thoughts, keeps the class focused on making the web, repeats what the children have said, or clarifies their comments for the “writing” teacher? Do you want to write the children’s ideas directly on the topic web surface (that is, on the paper or the board)? Or do you want to use sticky-notes? Both strategies have advantages. Do you want to organize the web at the same time that the children are generating ideas and questions? Or do you want organizing the web to be a second, separate step? Both options have advantages. The first option will be much easier to implement if another adult is involved. If some of the children want to write their own ideas, will you let them? Or will you do all of the writing? Do you want the children to raise their hands to share their ideas? Or do you prefer that they call out their ideas without raising hands? Are you reasonably sure that several of the children may have difficulty staying engaged in the topic web discussion for more than a few minutes? If so, you might plan to have the class add to the web during two group meetings. Such decisions should be based on your comfort level, classroom staffing, and your knowledge of the children (ages, abilities, special needs, etc.). There is no single “right way” to proceed! Introducing the Topic Web Lesson. The children and the teacher usually make a topic web during a group meeting that has been set aside for that purpose. Potential exceptions will be discussed at the end of this section. Some teachers feel that it is important to explain what a topic web is before starting one with the children for the first time. Others take a more informal approach—that is, they take down a few of the children’s ideas before explaining what the web is. This lesson planning aid takes the second approach. You might plan to introduce the webbing process in any of several ways. How you begin will depend in part on the ages and experiences of the children in the class. Generating Ideas for the Topic Web. You can decide ahead of time whether to invite the children to discuss the topic for a few minutes before you write their ideas or whether to begin writing right away. It’s also possible to start the topic web discussion with a small group of children instead of the whole class. As they express their ideas and questions, the teacher can begin adding to the topic web. At the next class meeting, the teacher and the children who participated could then explain and share the web. The rest of the class can then be invited to add their own ideas and questions. You can record the children’s words directly on the writing surface or on sticky-notes. It is not necessary to record a child’s entire comment; a word or two or a short sentence will usually be enough (Figures 3 & 4). For clarity, it’s a good idea to write questions out completely. Experienced Project Approach teachers recommend making the children’s topic web at the end of Phase 1 or beginning of Phase 2, after the children have shared several experiences, such as making memory drawings, hearing or telling stories related to the topic, or examining some relevant items that the teacher has brought in. Typically, the children’s topic web is created during group time. The teacher asks the children about their ideas and “wonderings” about the topic. As the children “brainstorm” or offer their ideas and suggestions, the teacher makes notes based on their comments and questions (often in a shortened form) and adds them to the web for all to see (Figure 2). Figure 3. Children’s topic web in progress, created directly on the writing surface. Figure 4. Topic web “in progress” made using sticky-notes on paper. What are some things that they would like to find out about the topic? Whom do they think they might talk to about the topic? What are some places they would like to visit to find out more about the topic? Some preschoolers seem to have trouble formulating questions. You may want to plan what to do during the lesson to help them. For some relevant suggestions, see “The Project Approach: Helping Children Ask Questions”. Very young children, or those who have little experience with projects, might not say much during the first topic web meeting. You might plan to talk individually with such children afterward to hear their ideas and questions. It’s a good idea to plan for closure of the topic web activity. If the discussion lags, you might ask, “What else would you like to find out about shoes?” or “What other thoughts do you have about shoes?” You will probably be able to tell when the children have run out of ideas for the moment. Then, you might comment that they have generated quite a few ideas and that this class topic web will help to keep track of their ideas and questions about the topic. Let them know where you will post the web, and encourage them to look at it closely. You might also tell them that new ideas or questions can be added later. Another way to extend the experience of creating the topic web is to place the web where children can easily revisit it. You can then encourage them to look at it individually or with classmates if they want, to talk about it together, and to think of ideas or questions that might be added. You may find that a number of activities related to creating a topic web might be occasions for lesson planning. (Again, see “Topic Webs in Project Work: Part 2—Organizing the Children’s Web” for more information.) For example, at the beginning of Phase 2, when children are planning their fieldwork on subtopics in small groups, you might plan mini-lessons around helping them create webs related to their subtopics. As the children complete fieldwork during Phase 2, they sometimes want to create a new topic web using the information that they have collected. Revising the topic web could give you another opportunity for lesson planning. If you are able to easily keep track of “who said what” during the process of making the topic web, you can put a copy of each child’s contributions to the web into his or her file. As the project moves along, you might talk with individual children or collect samples of their work to see how their thinking has changed (or not) since they helped to create the topic web. The topic web itself documents children’s knowledge, understandings, and questions at the beginning of a project. Comparing the original web to one they construct later with the new information that they have collected can help you and the class get a sense of how their own understandings have grown. Visiting parents may also be favorably impressed by this comparison. Your lesson plans for a topic web discussion can include accommodations for a range of special needs. For example, if some of the children are slow to respond to questions or need extra time to express themselves, it’s a good idea to build in “wait time” for their responses. It may be best in that case to plan to ask the class to raise hands to be called on rather than encouraging them to rapidly call out ideas. If some of the children are likely to have difficulty sitting through the process of generating ideas, you may want to plan to get their input individually at some other time. In some situations, you may want to collect ideas from several children before the meeting, then present the partially completed web at a class meeting and ask the rest of the class to contribute. You might plan to use visual cues throughout the topic web discussion to help children who are not fluent in English. For example, if the class is working on a web about shoes, you might have a shoe nearby that children can use as a prop for nonverbally expressing ideas during the webbing discussion. 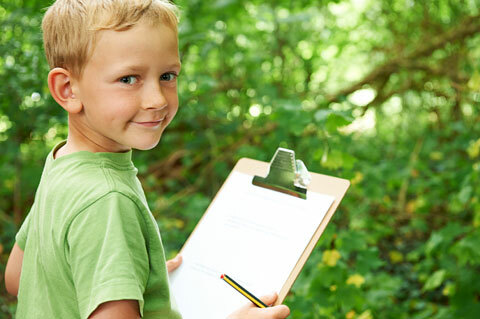 Relevant photographs or sketches may also help some of the children contribute their ideas. If you speak both English and the child’s home language, you might try making class topic webs bilingual, to benefit both the English language learners and the children who speak only English. a child responds to the teacher’s request to contribute ideas or questions. a child comments about a classmate’s idea (for example, “That happened to me, too!”). a child dictates a comment in response to the teacher’s request for contributions to the topic web. a child contributes ideas to the topic web during large-group and small-group discussions. 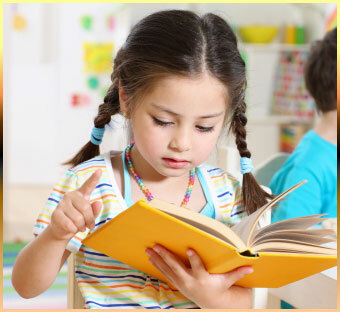 a child “reads” or refers to the class topic web during project work. a child identifies his or her own contributions to the topic web, or those of another child. a child contributes ideas or questions to the class topic web. a child observes how the teacher constructs the topic web and contributes ideas to the webbing process. a child poses questions or “wonderings” to add to the topic web. a child contributes ideas to the topic web as part of the first step in an investigation. a child avoids interrupting classmates and generally “takes turns” offering ideas during the topic web activity. a child is a contributor to the topic web discussion. a child takes turns during the topic web conversation. a child speaks clearly when sharing his or her ideas. a child listens to the ideas expressed by others. a child enthusiastically offers ideas or poses questions during the topic web conversation. The teacher or student who is learning to prepare lesson plans may find it helpful to consider some of the above benefits of involving a class in creating a topic web, in addition to the ways that benchmarks may be met. Note: Permission to use photograph of class meeting given by Caitlin Bouse of Elmhurst Academy, Elmhurst, Illinois. Thanks to Barbara Gallick and Lisa Lee for document review.